Quick TPMS test and a couple of tips. As the use of TPMS in the RV world continues to spread, I am noticing a number of comments on usage, pressure and temperature accuracy and general reliability of different systems. I am in the process of making a test fixture to allow calibration check of pressure and possibly of temperature reporting also. I hope to have the first round of testing in a few weeks. I have a target of offering a "TPMS Pressure Test" in August in West Springfield at the FMCA Reunion for folks to learn the actual accuracy of their individual system. I will collect and report the findings in Sept.
As I do some initial runs, I am noting some interesting results and readings that need additional investigation as I am not always seeing numbers that I am expecting. This is especially true when it comes to temperature readings. One thing I have learned is that it might be a good idea for everyone to do one test on their own unit. With all tires properly inflated you can confirm that your system can provide a quick response and that your monitor is receiving the radio signal properly. With someone watching the monitor, go and quickly unscrew the sensor and have the person watching the monitor beep the horn as soon as the sensor issues its warning. Hopefully you will see that your system consistently reports the loss of pressure the sensor is seeing in one or two seconds. Be sure to securely re-attach the sensor and maybe even give it a little squirt of soapy water or even Windex to check for leaks. I certainly do not want anyone reporting back that they had a tire failure because they lost air due to a loose sensor. A side note. My sensors, and I believe many others do, have an "O" ring seal around the battery chamber. As with any device containing a battery that is exposed to water, I give the battery chamber a little squirt of WD-40 to help prevent corrosion of electrical components. You might take this opportunity to also inspect the "O" ring for tears or cracks. Don't forget this little rubber piece ages just as rubber tires do. I keep a couple spare "O" rings on hand just in case. Your TPMS supplier should have a package of replacements for a nominal fee or you can pick up some at your next RV convention or show. If you have a monitor that is small and portable, I suggest you not carry it around with you as one of the features we want to test is the ability of the monitor to receive the signal over the distance from the tire to the location you have mounted the monitor. This would especially be important for those monitoring sensors on a toad. You don't have to actually hook up the toad but at least park it in an appropriate location and distance behind the RV. "Why do I need a TPMS?" I occasionally run into folks who say "I check the air in my tires every morning and at every fuel stop so I don't need a TPMS." I might then ask if they have an oil pressure gauge or warning light on their dash. After all, they can check the engine oil every morning and at each fuel stop. How about an engine temperature gauge? Same follow-up about checking the water in the radiator. TPMS were mandated in all cars and light trucks back in 2002 with a 3-year roll-in. The primary reason for this was the abysmal record of people simply ignoring tire inflation. This despite the news at the time of hundreds of fatalities being traced to tire failure due to low air pressure. While the regulations exclude vehicles with gross weight over 10,000 pounds or trailers, where most of the RV market resides, it didn't take long for aftermarket units to hit the market and for smart RV owners to start adding this important safety device to their unit. Yet almost every day I read a post on one of the various RV forums I monitor from owners complaining that they had a tire failure. 1. Tread Separation -- Which is a condition where the belts and tread separate from the body of the tire. This takes months and thousands of miles to develop and grow to the point of coming apart. This condition can many times be discovered with good tire inspection effort and practice by the RV owner. 2. Run Low Flex Failure or more commonly called a sidewall blowout. This failure can develop in only a few miles and much less than an hour, so the loss of air is seldom discovered when the RV owner does a walk-around visual inspection or even daily check of inflation of the tires. 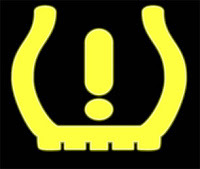 This condition can be prevented with the use and proper set-up of a TPMS. 3. Impact Break can occur when a tire is run over a curb, across a large pothole or even just hitting some road trash. While a TPMS cannot prevent the break, there is a good chance that as soon as air loss occurs, the TPMS would inform the RV owner so he can pull over sooner rather than later and not have to depend on some passing motorist to flag him down by pointing to the disintegrating tire. This may reduce the damage to the RV and save some money. I believe that some RV owners may have failed to look at the cost of a TPMS, which can be less than $99 for a 4-tire system as seen on eBay with only the most basic of features. A much better system for 6-tire RV application is the brand I bought from TireTraker. The cost needs to be balanced against the cost of replacing a tire or tires plus the potential of hundreds to thousands of dollars by avoiding RV damage. A TPMS can also help avoid finding yourself along the side of an Interstate trying to change a tire. In some circumstances and with a better system, the TPMS may provide sufficient advance warning to allow the driver to continue, at reduced speed, to a location where there is more room and it is safer to pull over. Subscribe to the weekly RVtravel.com newsletter. Great information and advice. Now in our 15th year. Learn more or subscribe. Lets finish up this thread. Lets take a short break from all those screen shots and review how to write a meaningful "Description" of the failure as seen in Step 1 of my post of Jan 8. You need to remember that NHTSA needs facts if they are to take any further steps as they consider if an investigation is warranted. Just ranting "My tire exploded, tore up my RV and I want new tires and compensation for the repairs and my expenses." is not useful to NHTSA. If you can't be bothered to provide critical information such as tire DOT serial why should NHTSA make an effort to investigate? 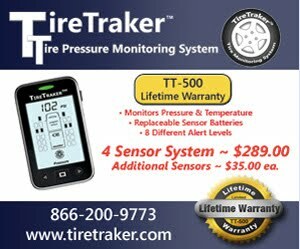 Other information such as location of the incident, your cold inflation and info on what warning you received from your TPMS, if you still have the tire and can provide pictures or contact information on who has the tire, would be bonus information and potentially very helpful to the engineers at NHTSA. I previously outlined the MINIMUM information needed in my post on Dec 31 2012. Here is an example of an actual complaint #10262837 "I OWN A 2004 GMC SIERRA 3500. THE VEHICLE HAS POWER KING TOWMAX TIRES, SIZE LT235/80R16E. WHILE PULLING THE TRAILER AT 65 MPH, THE SIDEWALL ON THE PASSENGER TIRE BLEW OUT." Looking at the Power King catalog on pg 10, I do find a Towmax STR in ST235/80R16 LRE size but ST type tires are not approved for use on passenger carrying vehicles such as a GMC 3500 pickup. Moving on to LT tires on pg 14 & 15 I find no metric sizes such as LT235/80R16. So we are confronted with a few questions. Did the owner provide the correct tire name but wrong size? Did the owner provide the correct size but wrong tire name? Did the owner mean the tire on the passenger side or that the tire was actually a passenger type tire? Was the tire that failed on the GMC? No mention of an RV or trailer brand is made by the owner. I also note that the tire manufacturer is entered as Cooper Tire and Rubber Co but according to my contacts at Cooper, they do not have a Power King or Towmax tire line and have not made ST type tires for many years. If you were NHTSA would you consider this person a reliable witness to what actually happened with a tire?
" THIS COMPLIANT IS FOR A TANDEM AXLE TRAILER TIRE FAILURE USED ON TRAVEL TRAILER CAMPER. THERE ARE THREE TIRES FAILURES WITH THE SET OF FOUR ON MY TRAVEL TRAILER. THIS REPORT IS FOR THE FIRST TIRE. THE TIRE IN QUESTION IS A DENMAN ST225/75R15 LOAD RANGE D. TYPE: ST EXPRESS RADIAL DOT CODE: 4FEH M5M 1908 TIRE INSTALLED: 4-5-2009 FIRST TIRE FAILURE OBSERVED ON 4-21-2012 MILES USED UNTIL FAILURE NOTICED, 10,164 MILES TOWING SPEED: 55 TO MAX OF 60 MPH AS STANDARD TOWING SPEED ON HIGHWAY. AIR PRESSURE OF 65 PSI CHECKED AT THE START OF EACH CAMPING TRIP. TIRE FAILURE OCCURRED WHEN THE TIRE WAS MOUNTED IN THE LEFT REAR POSITION. I HAVE CERTIFIED SCALED WEIGHT SLIP THAT CAN BE PROVIDED OF THE CAMPER AFTER THE FAILURE. NAME AND ADDRESS. THE REPORT DECLARED THE TIRE FAILED DUE TO DETACHMENT. THE FAILED TIRE WAS REPLACED WITH A NEW TIRE OF THE SAME SIZE AND LOAD RANGE, HOWEVER A DIFFERENT BRAND. I HAVE ALL PICTURES AND REMAINS OF THE TIRE IF NEEDED FOR FURTHER INVESTIGATION." 1. A brief description of the tire condition, i.e., "Tread and belts came off" or "sidewall disintegrated" along with a list of damage done to the RV with the associated costs would be desirable. 2. Vehicle VIN - This is on the vehicle label and probably on your registration slip. 3. Tire DOT serial - The complete serial number including the date code at the end. 4. Brief statement letting NHTSA know if you have additional information such as: "I have photographs of the tire" or where the tire is: "Tire is in my possession" or "Tire delivered to Fred's tire in Anytown, USA. 5. If you were using a TPMS that would definitely be information I would include.